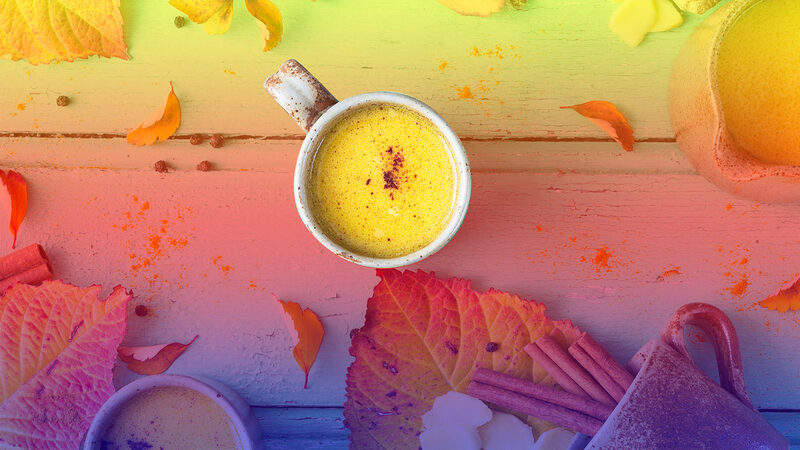 What Is ‘Golden Milk,’ & Are There Any Health Benefits? 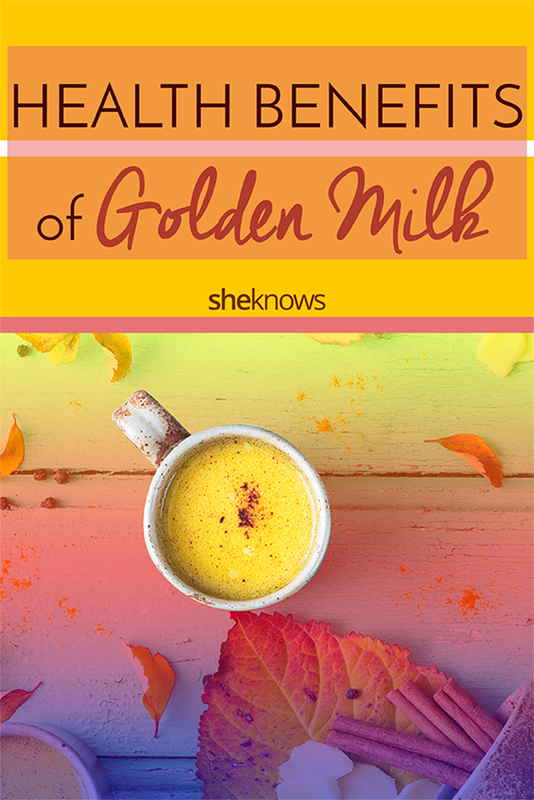 Everyone knows what regular or chocolate milk is, but have you ever heard of golden milk? It sounds odd, but many swear by its purported health properties. Is there any truth to the idea that golden milk provides health benefits? Let’s find out. Golden milk, also known as turmeric tea, is a beverage that contains ground turmeric. This is combined with other herbs or spices, including ground pepper, ginger root or cloves. While it’s called golden “milk,” it doesn’t necessarily have to contain cow’s milk — instead, almond, hemp or coconut milk can be subbed in if there is a need to do so. Dr. Taz Bhatia, a board-certified integrative medicine physician and wellness expert and author of What Doctors Eat and Super Woman Rx, shared her golden milk recipe with us (below). She says the turmeric in the recipe helps combat illness and strengthen the immune system due to its anti-inflammatory, antibacterial and antiviral properties. “Turmeric has been used since ancient times in Ayurvedic medicine,” she explains. Now that we know the ins and outs of golden milk, does turmeric, its most touted ingredient, really have any health benefits? Specifically, there is a component of this treasured golden spice called curcumin, and that’s where all the action comes from. Fortunately, there have been some scientific research-backed studies and clinical trials done on the mechanism of curcumin and how it affects the process of certain diseases in the human body. One such paper published by the American Association of Pharmaceutical Scientists does a pretty thorough job of rounding up clinical trials as they relate to curcumin and a boatload of human disease processes. Specifically, they note there have been promising effects in patients with inflammatory diseases, including cancer, cardiovascular disease, arthritis, irritable bowel disease, gastric ulcers, nephritis, psoriasis, Crohn’s disease and many more. While the full explanation of how it works is pretty science-y, it boils down to curcumin’s ability to modulate cell-signaling molecules such as pro-inflammatory cytokines (substances that are secreted from certain cells in the immune system that have an effect on other cells). Reducing or eliminating these substances will reduce their effect on other cells, which means that inflammation may be less of a problem in those treated with curcumin. While therapeutic use of curcumin dates back to as early as 1748, the first article that denotes its use in human disease was published in 1937, and since then, more than 60 clinical trials have been published. In addition to showing a relationship between turmeric (curcumin) and decreased inflammation, curcumin is generally safe to consume due to its nontoxic nature. Add the ginger root and cloves to the water. Bring the seasoned water to a boil and boil for 2 minutes. Pour the contents into a mug, and add the turmeric, honey and milk, stirring until the honey dissolves. While evidence shows turmeric (or at least its curcumin component) may result in positive results for those with inflammatory conditions, your mileage may vary, and of course, always consult with a medical professional prior to use.